Initial Florida strawberry shipments got underway with the arrival of December and a good, quality crop is being reported. Well-Pict Inc. of Watsonville, CA, also grows strawberries in Wimauma, south of Tampa, and will continue to ship strawberries from there until mid- to late March. The Florida Strawberry Growers Association Inc. in Dover, FL predicts the state will have about 10,000 acres of strawberries this season. Astin Strawberry Exchange of Plant City, FL has increased its organic berries this season, and similar to conventional berries, should have good volume the first half of December, peak shipments taking place from late January until mid-March. Heaviest volume for the company occurs during February. Astin’s organic production is up 40 percent, while conventional volume has increased by 10 percent. The company expects to ship 6 million flats this season. California grape shipments and how long they will last has importers in a quandry. Vanguard International USA, Inc. of Issaquah, WA reports if the quality of California table grapes hold up, the harvest could last until the end of the year, with shipments lasting into January. At the same time Vanguard points out Peru’s global grape shipments were up 40 percent year-on-year to 3.4 million boxes as of October 31st. But U.S. buyers will stick with California grapes as long as the quality is there. Meanwhile, the California industry set a new 5-year record shipping 23 million boxes worldwide between September 8th and October 12th. Pandol Bros. Inc. of Delano, CA believes the total California crop might even be 10 million more boxes than 2017. Pandol noted in 2017, late season grape shipments were disappointing because there were so many cold storages full of aging grapes. There are some concerns this year over a repeat of last season. Pandol reports most retailers are planning to transition to Peruvian grapes later this season, which would be in January, instead of the second half of December. The company also observed retailers know the ports can be problematic around the Christmas and New Year holidays and the logistics of trucking from California are more reliable. Chile’s table grapes have been hit by a recent hail storm, but the extent of damage is yet to be assessed. It is expected that the bad weather has slashed the walnut crop in half, while the cherry crop could have up to $100 million in losses. California grape shipments got off to a slow start last spring for a number of reasons, but excellent volume and quality with not shipping gaps are seen through Thanksgiving. Fruit Royale of Dinuba, CA describes the season as now being “off to the races.” There was a small overlap with Mexico, which slowed the start of the California grape shipments, plus hot weather in August slowed coloring of red and black grapes. King Fresh Produce Inc. of Dinuba, CA, has estimated that California will ship 120 million cartons of fresh table grapes this season, 10 percent increase over the 109 million cartons shipped in 2017. This includes heavy volume with red, red, green and black grapes through Thanksgiving. Chuck Olsen Co. of Visalia, CA, sees a crop of 110 million to 114 million cartons being shipped and is pleased with overall fruit quality and a good set. Jasmine Vineyards Inc. of Delano, CA, also sees the San Joaquin Valley as being excellent, with uninterrupted supplies well into December. Although there was a slow start to the season, shipments picked up nicely in mid-August and peak loadings should continue into latter October. Grapeman Farms, which markets it grapes through Stevco of Los Angeles is equally optimistic. It has reported quality as “phenomenal,” dispite a lot of hot weather in July and August, However, the growing season leading up to harvest was been perfect. San Joaquin Valley grapes – grossing about $4100 to Dallas. Mangoes from Mexico, as well as grapes from California are expected to provide excellent volume shipments this year. Imported Mexican mangoes by U.S. importers got off to an early season start this year and is expected to follow the normal volume increases associated with spring. Between 3 and 4 million boxes of Mexican mangoes have been crossing the border during April. Another season of record-breaking volume with peak supplies from southern Mexico that started this month is expected to continue into mid-May as the harvest shifts to more northern regions, such as Nayarit and Sinaloa, from mid-June through August. Importers such as Ciruli Bros, LLC of Rio Rico, AZ and Jade Produce LLC of Mission, TX have been experiencing excellent volume mango shipments to U.S. markets. Imported Mexican mango shipments from late March to the week of May 14 should be 16 percent higher than last year, with 49 million boxes in 2018 compared to 42 million boxes a year ago. Besides Mexico, there also are imported mangoes from Nicaragua, Guatemala, Costa Rica and Haiti during the spring. The Peruvian season finished in early April, and the Costa Rican season end the last half of April. The Mexican season started in January and runs until October. The Nicaraguan season got underway in mid-March and ran until the last week of April. The Guatemalan season was launched in March and should run through the end of May. The Haitian season started the third week of April and will run until September. Since the 2012 California grape shipments have exceeded 100 million boxes each season and 2018 is expected to be no different. In fact, 100 million – plus boxes is almost taken for granted these days. California grape shipments totaled 109.1 million boxes during the 2017 season, which runs from May through January. In 2016, the industry shipped 110 million boxed of table grapes. California typically begins with grapes from the Coachella Valley in early May, before transitioning to the Arvin area of Bakersfield in early June, with the remainder of the season involving much of the San Joaquin Valley. Favorable weather across much of the United States is resulting in good loading opportunities for pumpkins and other fall items. Meanwhile an update on California grape shipments shows the best is yet to come. Pumpkins are grown in almost every state and shippers in most areas see a good crop of pumpkins and hard squash for the upcoming season. Since these items are grown in so many states, most loads are regional or local. While pumpkins are an American Halloween tradition, good volume typically occurs after after October 31st. Pumpkin shipments typically are brisk following Halloween as Americans prepare for Thanksgiving. For example, Frey Farms in Keenes, Ill., started shipping its fall pumpkins the last week of August. Besides regular pumpkins, the company sells painted pumpkins as an in-and-out item and pumpkin tattoo kits – food-safe transfers that enable consumers to “paint” a pumpkin in a minute. Van Groningen & Sons Inc. Manteca, CA starts shipping pumpkin and ornamentals around Labor Day. Todd Greiner Farms of Hart, MI began shipping pumpkins, squash and ornamentals in late August. Jackson Melons Inc., of Henderson, TX will start shipping carving pumpkins right after Labor Day. Pumpkin Pyle of Floydada, TX is shipping pumpkins, squash and ornamentals, which will continue through until about October 20th. The California table grape shipments continues through the summers and by season’s end at the end of the year, maybe January, is projected at 111.4 million 19-pound boxes. California grape shippers loaded 108.9 million 19-pound box equivalents, about 40 percent of which was moved from May through August. With the end of August, 60 percent of the overall crop had been shipped in 2016, but the season should last into January. Over 85 varieties are grown in California, with the leading varieties being scarlet royal, autumn king, flame seedless, crimson seedless and sugraone. About 93 percent of the state’s grapes are seedless. With California grape crop in 2016, 36 percent of the fruit was exported, mostly to Canada, Mexico, China, the Philippines, Taiwan and Japan. The last half of summer is typically good for hauling California tomatoes as well as California table grapes. California’s San Joaquin Valley mature green summer tomato shipments started in late July and will continue into November. About 500 truck loads of mature greens are being loaded weekly. Caution is recommended when loading this product. There’s been some triple digit weather this season, which can stress the product and lead to quality issues. The weather is supposed to be in the mid to upper 90s this week in the Merced area, but inching towards the 100 mark by next weekend. However, in Brawley, scorching temperatures well above 100 are predicted all week. In the San Diego and Baja California areas summer vine ripe tomatoes and romas are being shipping in a similar timeframe as those in the San Joaquin Valley. California tomato shipments have been good this summer as weather has impacted tomato seasons in Alabama, Virginia and Tennessee. Sun Pacific Marketing Cooperative Inc., based in Pasadena, CA is perhaps better known for its easy peel Cuties brand clementines and mandarins, as well as it Mighties brand kiwifruit. However, it has become a significant player with table grape shipments and this season should move about 4 million cartons of grapes from the San Joaquin Valley. The company is looking to increase it grape volume by as much as 50 percent over the next few seasons. California has steady loadings with grapes now and is averaging around 1700 truckloads per week. The vast majority of the fruit is still being shipped from the southern half of the valley, but this will gradually shift to greater tonnage coming out of more northern parts of the valley as we approach fall. During the past decade more than two dozen grape varieties – red, green and black, have been introduced. This is leading to fruit with larger berries, more crunch and sweeter taste. San Joaquin Valley grapes – grossing about $6200 to New York City. Here’s a triple threat for hauling opportunities out of the Western U.S. July means shipments of Montana cherries and San Joaquin Valley grapes, while Washington cherries are rapidly building in volume. Although Central San Joaquin Valley grape shipments, similar to other California crops, will be a little later starting this season than last, grape haulers probably won’t notice the difference. California grape shipments are initially estimated to total 112.1 million, 19-pound box equivalents. Last year’s volume was 109 million boxes. An official estimate is due in late July. 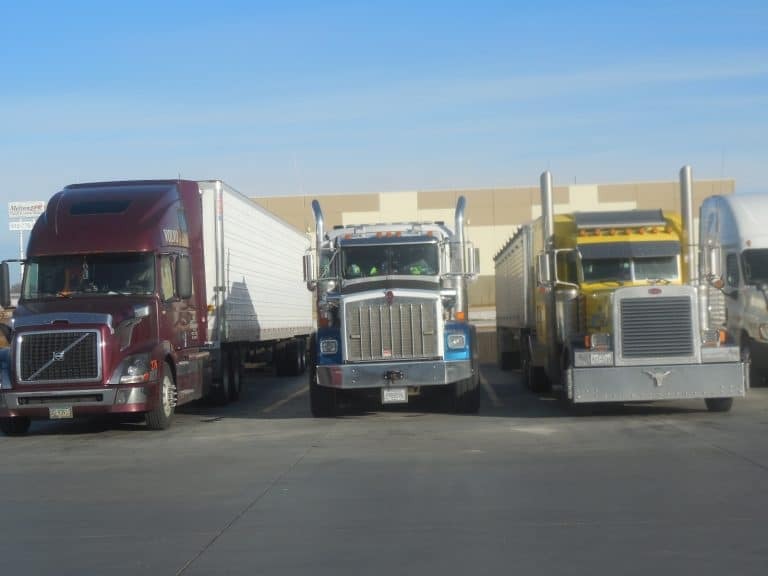 Many shippers will get underway with light volume loadings the first week of July in the Central San Joaquin Valley. Meanwhile, some Coachella Valley shippers will still will be shipping fruit into July, while others have finished the season during the last half of June. Additionally, Mexican spring grape shipments are just wrapping up. Glacier Fresh, cherry grower in the Flathead Lake region of western Montana was founded in 2001 and has traditionally grown high-quality fruit for the export market. However, this season it will also be providing fruit for markets in the U.S. by working with Giumarra Cos, based in Los Angeles. Glacier Fresh cherry shipments will get underway in late July with Rainiers and dark red varieties. The Montana fruit operation works with Montana growers to pack and ship more than 1 million pounds of fruit, accounting for over 25 percent of the state’s annual cherry shipments. YAKIMA, Wash. – FirstFruits Marketing of Yakima, WA announces that the 2017 Washington cherry shipments are well under way with exceptional quality and great color available now. FirstFruits is currently shipping dark sweet cherries and Rainier cherries were in limited quantities starting June 16, with full volume by June 22. Both dark sweet and Rainier cherries are available in conventional and organic varieties. California grape shipments should be similar to a year ago despite acreage facing a small decline…..Looking down the road a piece, New Jersey produce shipments should be good if favorable weather continues. Table grape acreage accounted for 123,000 of California’s 2016 total grape acreage of 897,000 acres, or about 13.7 percent of the total, according to the California Department of Food and Agriculture-U.S. Department of Agriculture’s annual survey on grape acreage. Total grape acres were down 2.3 percent from 918,000 in 2015, according to the report, released April 20. Table grape acreage was down 0.8% from the 124,000 reported in 2015, but it was 2,000 more acres or about 1.7% more than 2014. Sweet Globe, 245 acres in 2016 (78). Acreage of raisin-type grapes totaled 172,000 in 2016, or 7.5 percent lower than 2015’s total of 186,000 acres. The wine-type grape acreage is estimated at 602,000 acres, with 560,000 bearing and 42,000 non-bearing. The CDFA works with the Pacific Regional Office of the USDA’s National Agricultural Statistics Service on the annual voluntary acreage survey. Everything has lined up about as well as it could have so far this year, as the Garden State has had some nice warm weather. This has resulted in produce crops general being ahead of schedule as the growing season progresses. Growers are “knocking on wood” and keeping fingers crossed regarding the weather. New Jersey Asparagus cutting has been occurring at a fast and steady clip, leafy greens also are being harvested and shipped. There also are greenhouse tomatoes being harvested, as well as a few strawberries. Coachella Valley grape shipments start soon, kicking off the domestic grape season for the United States. Nestled just outside of Palm Springs are California’s first grape shipments each year. Coachella Valley grape loadings will get underway in early May, but it will be at least mid May, if not a little later before there is good volume. 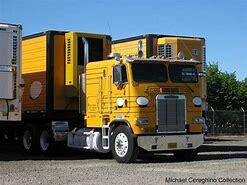 In its prime, the Coachella Valley routinely shipped in excess of 10 million cartons per season. Even a decade ago, volume ranged from 7 million to 9 million cartons for the season. Today, 4 million to 5 million cartons is more typical as acreage has declined over the years for a variety of reasons, with nothing being a greater factor than soaring real estate prices for both commercial and residential demands. But that decline may have reached a plateau, according to some. There are now fewer, but larger growing/shipping operations and new varieties of grapes are being introduced to make the Coachella Valley more competitive, especially with Mexican grapes. The latter now has production about double or more what Coachella used to have in its heyday. The two regions have very similar grape seasons, although Mexico typically starts shipping a few days to a week or so earlier than Coachella. Both Coachella and Mexico serve as a bridge from the end of the imported Chilean grape season and when Arvin District grapes (Bakersfield) gets underway in late June. Arvin and other production areas in the San Joaquin Valley provide the vast majority of California grape shipments. 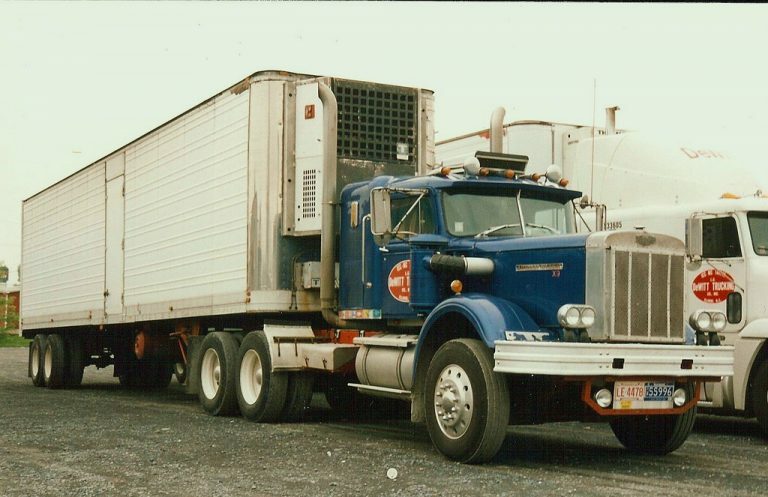 There still remain a number of old time, well established grape shippers either based in the Coachella Valley, or which have operations there. For example, there is Anthony Vineyards, Inc., Sun World International LLC. ; and Stevco, all in Coachella; Richard Bagdasarian, Inc., and Tudor Ranch, Inc., are both in Mecca. As California grape shipments wind down there’s still a lot more fruit to be hauled than at this time a year ago. California table grape remaining to be shipped is about 79 percent more than at this same period last year, according to the USDA. There were about 2.43 million packages of the California grapes in cold storage as of December 15th. This compares to 1.36 million on the same date in 2015. The current amount is about 30 percent lower than the 3.44 million total packages in 2014. The autumn royal variety totaled 255,255 packages in storage in mid-December, compared to 59,867 a year earlier — an increase of about 326 percent — although the current total was down by about 4.7 percent from the 267,867 of two years ago. Crimson seedless packages in storage totaled 1.02 million packages, an increase of about 95 percent over the 524,336 in 2015, but a 38 percent less from the 1.66 million 2014. There were 669,470 packages of other red seedless varieties in storage, about a 287 percent increase over the 173,000 in 2015 and a 121 percent increase over the 303,000 packages in 2014. By contrast, the inventory of autumn king trailed totals from 2015 and 2014 — this year’s 154,341 packages are down 47 percent from a year ago and down 60 percent from 2014. Flame seedless grapes in storage totaled 1,985 packages this year, compared to 4,505 last year and 18,701 in 2014. That marked a 56 percent decline from 2015 and 89 percent from two years earlier. While grape supplies are now low, current volume and shipments are similar to where they have been the last couple of years. There also have been some reports of discoloration, especially with red grapes and storage quality has not been as good. So extra caution is recommended by drivers when loading product. Imports of grapes from Peru are underway in light, but increasing volume and Chilean grapes will soon be arriving at East Coast ports and soon to be followed by arrivals on the West Coast. San Joaquin Valley grapes – grossing about $3800 to Dallas. The shipping outlook for North Carolina sweet potatoes has improved substantially in recent weeks, while steady movement continues from California grapes. Heavy rain from Hurricane Matthew in October dropped torrential rains and flooding on North Carolina sweet potato fields with more than half of the crop still in the ground, concerns for high that volume shipments might be drastically affected. However, the covington variety — the state’s major variety — proved to hold up well to excess water. The crop is now virtually harvested and growers are claiming North Carolina sweet potatoes will be available year-round as usual. In 2015, North Carolina shipped about 16.48 million 40-pound cartons of sweet potatoes. November is the top shipping month with over 12 percent of the total crop being moved. This compares with 8 percent in October and 9 percent in December. Now instead of a 40 or 50 percent loss of sweet potatoes from the hurricane, estimates are now in the 10 to 15 percent range for North Carolina sweet potatoes in the state. Overall the crop is expected to be about the same if not a little more than last season. Helping offset losses is an increase in acreage from last year. Eastern North Carolina is shipping about 300 truck loads of sweet potatoes a week. North Carolina sweet potatoes from the Benson area – grossing about $1000 to Atlanta; $1300 to Philadelphia and Chicago; $1950 to Miami; and $2300 to Boston (with spot rates possibly increasing). With more California table grapes remaining to be shipped than a year ago, loading opportunities should be good through the holidays. California grape inventories through October were 14 percent above the same time a year ago. Total supplies of California grapes were 11.94 million boxes on Oct. 31st, up from 10.48 million boxes a year ago, but down from 12.3 million boxes two years ago. California’s July grape crop was estimated at a near-record 117.06 million boxes, up from 109.6 million boxes in 2015. Grape shipments from California’s Kern District were running at about 2.4 million (19-pound) boxes per week in early November, while shipments from the state’s San Joaquin Valley were reported at 450,000 boxes per week. Kern District grape shipments – grossing about $4100 to Chicago; $5900 to Baltimore.